"Memorize this! Memorize Jeremiah Gottwald! Commit it to memory because that's the memorable name of the man who has defeated you." FULL APPEARANCE: An enormous man, well-built and broad-shouldered, Jeremiah carries himself with assurance and poise. He is a warrior and a protector, and it shows in his movement and stance. There is often a smirk on his face, lighting his brown eyes. He keeps his blond hair carefully styled when it's not under a riding helmet, hating to have people see it otherwise, and he likes to wear colorful finery when he's off duty. He is a hard man to miss. PERSONALITY: Jeremiah is a traditionalist. Back when he was at his home Hold, he devoted himself to the care and protection of his Lady. 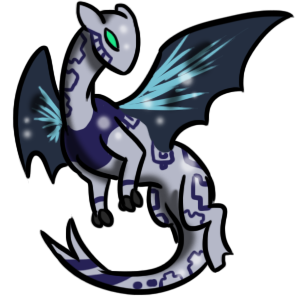 Now, he believes in the hierarchy of dragon colors and the right of gold- and bronzepairs to lead. He thinks his place as a brownrider is to lead the 'lesser' colors and support metallics as best he can. He is utterly devoted to this duty to the point of risking his life for metallic pairs without a second thought. They are his rightful superiors, and he will guard them while they live and avenge them when they fall. He's still uncomfortable with the idea of female bronzeriders, though his sister is slowly loosening him up on that front. Jeremiah is confident in his own duties and abilities and does not hesitate to openly scorn those who think themselves better than the place he has for them in his worldview. He has the self-assured arrogance of a prodigy, and the ambition to match - but he does not aspire to be a Weyrleader. That is a job for the bronzeriders, preferably the male bronzeriders. If he were to have his duties as a protector and fighter stripped away, he would be cast utterly adrift, desperately seeking purpose and structure in his life. HISTORY: Jeremiah was born with the expectation that he would protect and serve his Hold to the best of his ability. He was trained to become a guard from a young age, though he did have enough free time to live a normal childhood. When he was about five Turns old, his younger sister was born. He loved her immediately, vowing that he would become the best older brother and protector ever. The pair grew up playing together, though Lilicia was a sickly child. Jeremiah also grew to idolize the Lady of his Hold and was assigned to her personal guard when he came of age. He held this promotion in high regard, seeing it as a validation of his abilities and devotion. A mere two Turns after this honor, when Jeremiah was twenty, Lilicia came of age and was soon Searched for Ista. The Searchrider invited Jeremiah to come as well. Jeremiah was about to refuse the Search and continue to serve his Lady, but she released him from her service with her blessing, and he and Lilicia became candidates together. Weyr life suited Lilicia well, and she finally began to grow out of her childhood fragility. A couple of clutches after her Search, she Impressed a blue dragon, and Jeremiah couldn't have been prouder. Soon, he too Impressed, to brown Cogeath. The pair graduated and were placed in a wing. After a few Turns, Lilicia began to feel discontent with Ista's policies, and expressed a desire to transfer to Fort. When Nornth flew, Tuckal visited Ista, and the two grew closer. Wanting to protect his little sister, despite not entirely agreeing with her, and wanting to continue to protect Tuckal, Jeremiah put in for a transfer to Fort. Last edited by Tortellini on Fri Sep 21, 2018 8:09 pm, edited 2 times in total. FULL APPEARANCE: Large and imposing for his color, Cogeath is the size of smaller bronzes, both in length and bulk. He will never be graceful or swift, but he will endure. His hide also makes him stand out from some other browns. Its base color is a light tan, marked with a truer brown. 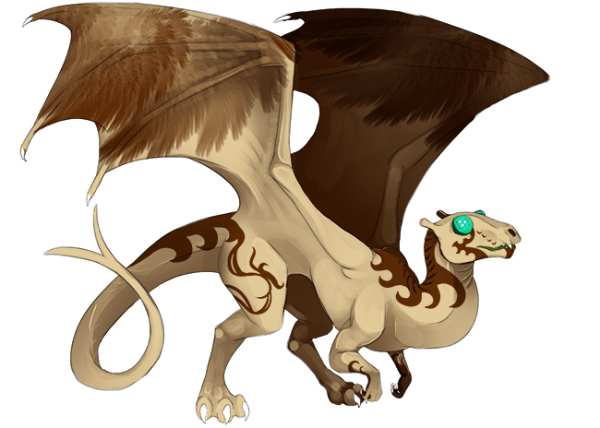 Delicate wing-like markings cover his wingsails, and markings resembling waves adorn his spine and limbs. 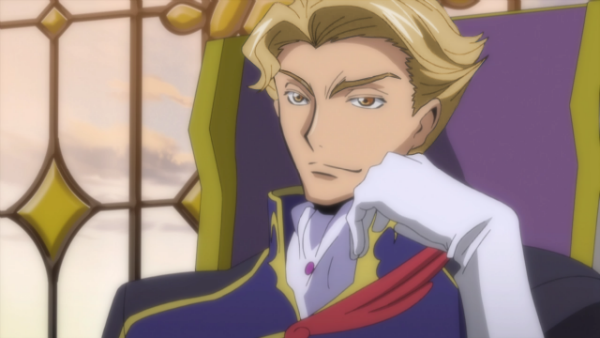 PERSONALITY: Cogeath is violent, easily angered, and arrogant. He thinks himself higher than anyone else save for those who have proven their superiority. When knocked down a few pegs, he will sulk, and complain to anyone who will listen about how much better a job he would have done in a given situation. To Jeremiah, he is greedy, demanding his attention and presence almost constantly. If someone he does not approve of even thinks about showing interest in him, he is quick to complain and rant about how the other is not good enough to even look upon the two of them. Even when it is just the two of them, he demands that Jeremiah love him and shower him with praise and glory.